Ajay Anand, an assistant professor of instruction in data science, is a deputy director of the Goergen Institute for Data Science. Anand comes to the University from Carestream Health in Rochester, where he worked as technical manager in medical ultrasound. Before that, he spent 10 years as a senior research scientist and senior medical research scientist at Philips Healthcare Research. In his administrative role at the Goergen Institute, Anand is responsible for managing data science education programs and identifying opportunities for expanding curricular offerings. Anand’s research has involved medical ultrasound and biomedical signal processing. He is currently working to automate ultrasound technology to make it readily available for emergency medical technicians and others who are not fully trained in ultrasound. Along with being coinventor on more than 25 patent applications, he has coauthored more than 35 journal articles and conference proceedings. His technical interests are in time-series analysis, physical model- based predictive analysis, and biomedical data analytics. 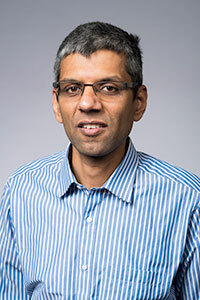 Anand earned his PhD and MS degrees in electrical engineering from the University of Washington and his MS in biomedical engineering from the University of Texas. In the 2018–19 academic year, he will teach the data science capstone and practicum course. Michela Andreatta teaches courses in both biblical and modern Hebrew language, Jewish history, and Hebrew literature in translation. Andreatta is coordinator of the Jewish studies program, in which capacity she serves as the primary advisor for students minoring in Jewish studies and Hebrew. She plays an active role in the Center for Jewish Studies and its outreach activities. Before joining Rochester as a lecturer in 2011, she served as a visiting lecturer at the University of Tennessee in Knoxville. She has been the recipient of several postdoctoral research fellowships and grants from academic institutions in Europe, Israel, and the United States, including the University of Oxford, the Hebrew University of Jerusalem, Harvard University and the University of Pennsylvania. Before coming to the United States, Andreatta taught at Ca’ Foscari University in Venice, Italy. Andreatta is currently working on two main research projects. The first explores mysticism and early modern Jewish theories on afterlife, drawing from the 17th-century poem Tofteh ‘Arukh (Hell Prepared) by Rabbi Moses Zacuto. Her second project is a collaboration with scholars from Princeton University and Cambridge University, in which Andreatta is working on a volume reconstructing the printing of the Talmud by Ambrosius Froben in Basel between 1578 and 1580. 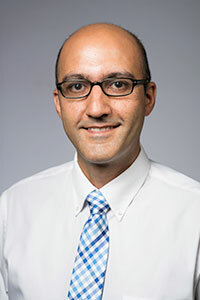 Hesam Askari has been appointed a tenure-track assistant professor in mechanical engineering, after serving as an instructional-track faculty member since 2016. Before coming to Rochester, Askari was a postdoctoral associate at MIT, where he developed a simple, predictive model for calculating the force required to move objects over or through whole classes of previously untested granular materials in a variety of settings. The model can be applied to problems such as designing vehicles to traverse granular terrains on distant planets or targeting the delivery of drugs through particle-filled tissues in the human body. Askari also creates models that enable him to study how changes in the size and orientation of grains encapsulated in metals can affect the overall properties of those metals, for example, making them stronger or more flexible as needed. He has authored or coauthored 10 papers that have appeared in such journals as Nature Materials and International Journal of Plasticity. Askari teaches courses in finite elements and engineering mechanics. He received a BS in mechanical engineering and a master’s degree in aerospace engineering from the Iran University of Science and Technology, and his PhD in mechanical engineering from Washington State University. Ash Asudeh joins the Department of Linguistics as a senior faculty member. He will also become the director of the Center for Language Sciences, an umbrella organization that brings together faculty, postdoctoral scholars, and graduate students as they research human language. Asudeh previously served as professor of semantics in the Faculty of Linguistics, Philology & Phonetics at Oxford University and also simultaneously as a professor in the Institute of Cognitive Science at Carleton University. 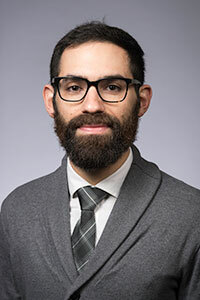 In conducting his research, Asudeh focuses on the relationship between meaning and structure as it relates to semantics, pragmatics, and syntax. With a background in the fields of cognitive science and theoretical linguistics, Asudeh works to break down complex language systems into smaller subsystems in order to study their properties and relationships. 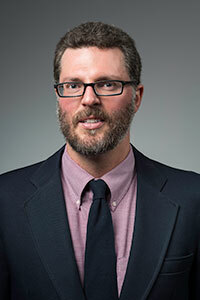 At Rochester, he will use that experience to support the interdisciplinary environment that exists among the Departments of Linguistics, Brain and Cognitive Sciences, and Computer Science and the Goergen Institute for Data Science. He has published two books and more than 50 other works in publications such as The Oxford Handbook of English Grammar, Natural Language and Lingusitics Theory, Semantics and Pragmatics, and the Journal of Language Modelling. He is working on a monograph (with Gianluca Giorgolo), Enriched Meanings: Natural Language Semantics with Category Theory. Asudeh has received numerous honors, including the Early Researcher Award from the Ministry of Innovation in Ontario, a Research Award from Carleton University, and the Recognition of Distinction from Oxford University. 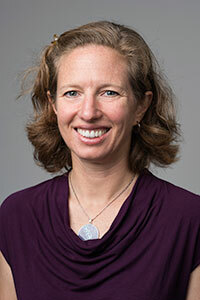 Farran Briggs joins the faculty from Dartmouth College, where she was an assistant professor of physiology and neurobiology at Dartmouth’s Geisel School of Medicine. Briggs’s research focuses on neuronal circuits—the connections of neurons—in the brain’s vision system. Using multielectrode recordings, Briggs analyzes the neuronal circuits in brain structures that receive visual information. Specifically, she studies how particular neurons and connections between neurons give rise to visual perception, neural mechanisms involved in attention, and how attention changes the way visual information is processed in the brain. Longer-term goals for her research include finding ways to model attention deficit that can provide insight into the causes of conditions such as autism and attention deficit hyperactivity disorder (ADHD). Briggs has received funding from the National Institutes of Health and the National Science Foundation. Her work has appeared in such peer-reviewed journals as Nature, the Journal of Neuroscience, and Current Biology. 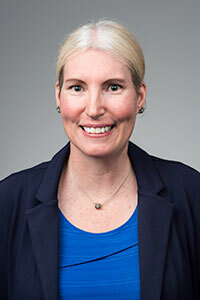 In addition to her research, Briggs will teach undergraduate courses and mentor PhD students under her joint appointments in the Department of Neuroscience in the School of Medicine and Dentistry and the Department of and Brain and Cognitive Sciences. 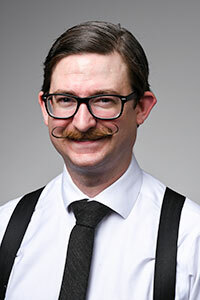 Ethan Burnham-Fay joined the Department of Mechanical Engineering as an assistant professor of instruction in January, after completing his PhD in the department. 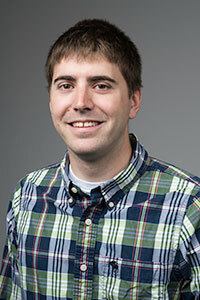 For his PhD, Burnham-Fay studied ways to measure and to dampen the effects of background vibrations that can interfere with inertial confinement fusion experiments at the Laboratory for Laser Energetics (LLE) at Rochester and at the National Ignition Facility at Lawrence Livermore. He has expertise in optical metrology techniques, piezoelectrics, and vibration control. Burnham-Fay served as a Horton Fellow at LLE. He has been the lead or coauthor of five papers accepted or published in journals and conference proceedings. As an instructional-track faculty member, he will teach engineering computation, mechanical systems, introduction to solid mechanics, precision instrument design, and introduction to solid modeling. 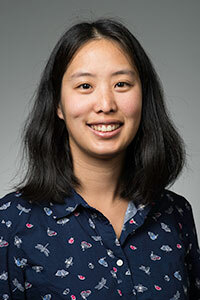 Nancy Chen joins the faculty from the University of California, Davis, where she served as a National Science Foundation postdoctoral fellow from 2015 to 2018, studying population and evolutionary genetics. Previously, she was a postdoctoral research associate and lab associate at the Cornell Lab of Ornithology. Chen is an evolutionary biologist who analyzes how different evolutionary forces contribute to genetic variations. Her work integrates genomics and evolutionary genetics with natural history and field biology to study declining populations in the wild. One of her current projects involves developing new statistical methods and applying them to a long-term study of the endangered Florida scrub jay. She received funding from the National Science Foundation for the genome-wide study, which will help answer fundamental questions in evolutionary biology, including whether and how reduced genetic diversity might predict a decline in the species. The work will also help inform conservation strategies for the rare bird. In 2017, Chen was awarded the American Ornithological Society’s James G. Cooper Young Professional Award. Her work has appeared in several peer-reviewed journals, including Current Biology, Applied Physics Letters, and Genetics. She is dedicated to increasing diversity and inclusion in STEM, and she co-led a women-in-science group at Davis as well as diversity and inclusion programming for the American Ornithological Society. 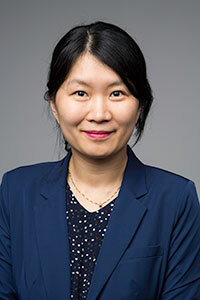 In addition to her research, Chen will teach undergraduate and graduate courses in population biology and mentor PhD students in the evolutionary biology program. 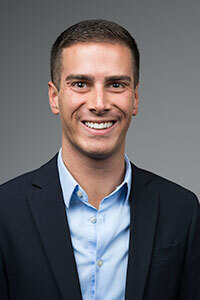 Joseph Ciminelli joins the faculty as an assistant professor of instruction after completing a PhD in statistics at Rochester’s School of Medicine and Dentistry. Ciminelli is also an alumnus of the College, having graduated with a BA in political science. As a graduate student, Ciminelli taught introductory courses in biostatistics and was involved in pedagogical research relating to active learning methods in introductory statistics courses. His statistical research interests involve social-network models, model-based clustering methods, and spatial models. In particular, he is interested in clustering and in spatially modeling attributes that are linked to individuals who are members of social networks. By jointly modeling social connections and attributes, he aims to model human interactions, interests, and beliefs. As deputy director of the statistics program, Ciminelli also focuses on understanding ways to improve statistical education at the undergraduate level. He has been involved in efforts to incorporate active learning into statistics courses. His goal is to better understand how to make statistical analyses applicable, accessible, and relevant to students from a diverse range of backgrounds. A member of the statistics program since July 2017, Ciminelli teaches introductory statistics courses and applied upper-level methodology. He will continue to introduce new statistical electives. 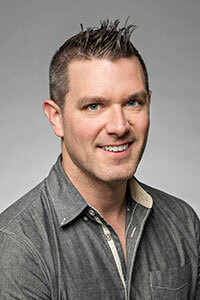 David Dodell-Feder joins the faculty from Harvard University, where he earned his PhD in 2017 in clinical psychology. Most recently, he was a postdoctoral fellow at the Institute for Technology in Psychiatry at McLean Hospital in Belmont, Massachusetts. His research focuses on understanding the processes that underlie how humans navigate the social world and how those processes go awry in people with schizophrenia. He has coauthored nearly two dozen scholarly articles that have appeared in, among others, Clinical Psychological Science, Journal of Experimental Psychology: General, Schizophrenia Research, Social Cognitive and Affective Neuroscience, and NeuroImage: Clinical. 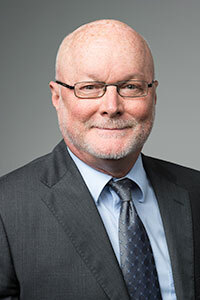 The recipient of the Weill Cornell Medical Faculty Council Research Award at Weill Cornell Medical School, he also received Harvard’s Bok Center Certificate of Distinction in Teaching three times and the school’s George W. Goethals Teaching Award twice. Dodell-Feder’s academic life has come full circle: in 2008 he graduated from Rochester with a BA in psychology and brain and cognitive sciences, returning to his alma mater 10 years later—now as an assistant professor in the Department of Clinical and Social Sciences in Psychology with a secondary appointment in the Medical Center’s Department of Neuroscience. In the spring 2017 semester he taught two psychology classes on campus as an instructor: theoretical and empirical foundations of psychotherapy and a social cognition and psychopathology lab. Most recent appointment(s): postdoctoral fellow at the Institute for Technology in Psychiatry at McLean Hospital in Belmont, Massachusetts. Prior to that, he was a clinical psychology intern at New York-Presbyterian Hospital/Weill Cornell Medical Center in New York. Michael Giacomelli joins the Department of Biomedical Engineering after serving as a postdoctoral fellow and research scientist in the Research Laboratory of Electronics at MIT. At MIT, Giacomelli developed two photon imaging methods to assist in the surgical treatment of breast cancer. The research could improve the success rate of surgery by enabling surgeons to evaluate tissue as it is removed from the body. At Rochester, Giacomelli will explore the applications of advanced imaging technology to other surgery and in medicine in general with the goal of improving diagnosis and surgical management of cancer. He is the author or coauthor of more than 25 journal articles and was the recipient of a postdoctoral fellowship from the NIH. Giacomelli received BS degrees in computer science and computer engineering from the University of Arizona and a master’s degree in electrical engineering and PhD in biomedical engineering from Duke University. 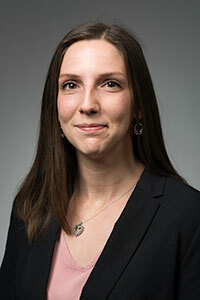 Katherine Grzesik joins the faculty as an assistant professor of instruction after an appointment as a postdoctoral research affiliate at Roswell Park Comprehensive Cancer Center in Buffalo. There she performed statistical analysis of genetic and immunological responses to cancer therapy and served as a volunteer lecturer on how best to present bioinformatics data. Grzesik received her PhD in statistics from the University of Rochester in 2017. As a statistician and mathematician, Grzesik studies theoretical and applied statistics. She specializes in data visualization—using graphics and interactive tools to convey the stories told by data. 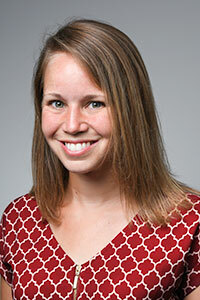 She is currently developing interactive statistical tools for clinicians and classroom educators. Her theoretical research incorporates techniques that introduce variation into data sets in order to develop better predictions and inferences. She has applied statistical analysis to a variety of topics, including early onset hereditary ovarian cancer, bacterial infections in adults hospitalized with respiratory illness, and papillomavirus detection among South African adolescents. 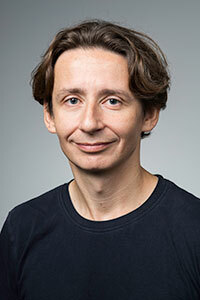 Grzesik has published in several peer-reviewed journals, including Scientific Reports and Journal of Immunological Techniques in Infectious Diseases. 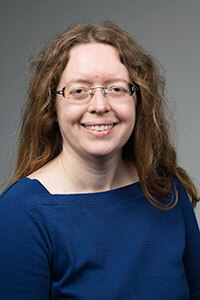 In addition to her research, Grzesik will teach undergraduate courses in statistics. Donald Hall joins Rochester’s faculty as the Robert L. and Mary L. Sproull Dean of the Faculty of Arts, Sciences & Engineering. Previously, he was the Herbert and Ann Siegel Dean of Arts & Sciences at Lehigh University. Widely published in the fields of British studies, gender theory, cultural studies, and professional studies, Hall was a professor of English and chair of the English department at California State University, Northridge, and then at West Virginia University, where he also served as chair of the foreign languages department. In his current research, Hall examines such issues as professional responsibility, academic community building, and ethics and agency in sexuality studies. He has delivered lectures around the world on the value of a liberal arts education, the need for nurturing global competencies in students, and the importance of interdisciplinary dialog in and beyond the classroom. His many books include The Academic Community: A Manual for Change (Ohio State University Press, 2007) and Reading Sexualities: Hermeneutic Theory and the Future of Queer Studies (Routledge Press, 2009). Hall’s long record of professional service includes membership on the Modern Language Association’s executive council. He was the national president of the Association of Departments of English in 2012 and has held several international visiting-faculty appointments. He has also taught at institutions in Sweden, Romania, Hungary, Rwanda, and China. 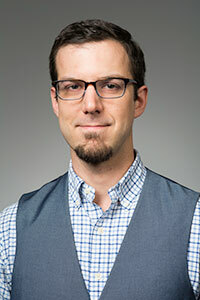 Michael Heilemann has joined the Department of Electrical and Computer Engineering as an assistant professor of instruction, after completing his PhD in the department in 2018. Heilemann will teach senior design and a portfolio class in the department’s audio and music engineering program for undergraduates and will also supervise projects that master’s students in electrical engineering do for research credit. For his PhD thesis at Rochester, Heilemann worked on a project to develop technology that would make screens of computers, televisions, and mobile devices vibrate in such a way that the screens themselves become speakers. The work aims to reconcile a growing demand for audio displays that are thin, lightweight, and portable against the market forces that value larger and heavier speakers. Heilemann’s PhD thesis focused specifically on how to localize vibrations that produce sound to just one part of the screen. The research has resulted in three journal publications with Heilemann as lead or coauthor. He has also been lead or coauthor of seven peer-reviewed conference publications. Heilemann received his BS in physics from Canisius College in 2013 and his master’s in electrical engineering at Rochester in 2015. Christopher P. Heuer joins the faculty as an associate professor who specializes in the early modern art of the Atlantic world. He is the former senior lecturer at the Williams College Graduate Program, where he also directed the research and academic program at the Clark Art Institute. 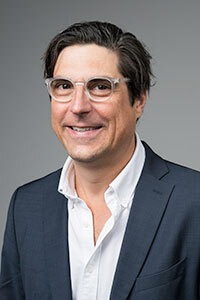 Until 2014, he was an assistant professor of art and archaeology at Princeton University, where he helped to design and inaugurate Princeton’s interdisciplinary doctoral program in the humanities. Before that, he was a Mellon Postdoctoral Fellow at Columbia University. Heuer’s 2009 book, The City Rehearsed (Routledge), examines the relationship between architecture, urbanism, and iconoclasm during the Reformation. His current research reflects an interest in landscape, ecology, and performance. A new book, Into the White: The Renaissance Arctic, the End of the Image, is scheduled to appear with MIT University Press/Zone Books in spring 2019. The study explores the poetics of the extreme north in the European imagination before 1600. Most recently, he is coeditor (with Rebecca Zorach) of Ecologies, Agents, Terrains, which appeared with Yale University Press in August 2018. He remains a founding member of the media collective Our Literal Speed. Jonathan Holz joins the faculty as an associate professor of instruction, having taught courses in human physiology as an adjunct lecturer at Rochester in fall 2017. Previously, he was an assistant professor of biology at D’Youville College and a visiting assistant professor at St. John Fisher College. A Rochester alumnus, Holz received his PhD in toxicology. As an instructional-track faculty member, Holz will teach undergraduate courses in human anatomy and physiology in the Department of Biology. One of Holz’s primary areas of research explores how environmental agents affect the musculoskeletal system, specifically, the connection between osteoarthritis and lead exposure. He builds upon clinical case studies showing joint degeneration in individuals with retained lead fragments and epidemiological studies linking lead exposure in smelter workers to joint pain. His ultimate goal is to better understand the mechanisms behind the generation of osteoarthritis and improve treatments and clinical outcomes. He also studies tooth formation, vertebral disc degeneration, and traditional Chinese medicine. Holz has received funding from the National Institute of Environmental Health Sciences. His research has been published in such peer-reviewed journals as Toxicology Science and the Journal of Biological Chemistry. 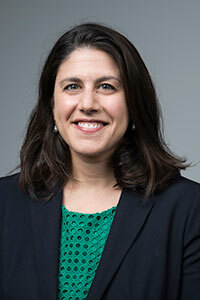 Lisa Kahn joins the faculty as a professor of economics. She comes to Rochester from Yale University’s School of Management, where she was on the faculty of economics for a decade. Kahn has experience in the public sector, having served as the senior economist for labor and education policy on President Obama’s Council of Economic Advisers from 2010 to 2011. Kahn is a labor economist with interests in the economics of organizations and education. In her current work, she uses data on job vacancy postings to examine whether the Great Recession accelerated technological change, exacerbating the polarization of the US economy. In previous work, she examined the consequences of graduating from college in an economic downturn, finding long-lasting, negative wage effects. That paper won the award for the best paper published in Labour Economics in 2010–11. Kahn has been published in numerous journals, including the American Economic Review, Quarterly Journal of Economics, and the Review of Economic Studies. She earned her PhD and MA in economics from Harvard University and holds an AB in economics from the University of Chicago. In the spring semester, Kahn will teach two courses: an undergraduate economics class and a graduate seminar in applied economics. Jens Kipper is an assistant professor of philosophy. Before joining the Rochester faculty, he was an assistant professor at the University of Bielefeld in Germany, where he taught undergraduate courses on topics such as the philosophy of language, perception, and scientific explanation. He also led graduate seminars on consciousness, mental content, and philosophy and science fiction, among other subjects. A specialist in epistemology—the theory of knowledge—as well as philosophy of mind and philosophy of language, Kipper earned a PhD in philosophy at the University of Cologne in 2012. His work also involves the philosophy of artificial intelligence, the philosophy of science, and applied ethics. He is the author of two books: Research Ethics: An Introduction, with Thomas Fuchs and others (Metzler), and A Two-Dimensionalist Guide to Conceptual Analysis (Ontos). In 2015–16, Kipper carried out an 18-month project that explored how we can know what is necessary or possible compared with the thesis that our mental states (such as beliefs, desires, or sense experiences) represent only things internal to us and not our environment. He conducted the research at MIT, with the support of a research fellowship from the German Research Foundation. Whasil Lee joins the Department of Biomedical Engineering from Duke University, where she most recently was a postdoctoral fellow. With a background in computer engineering, electrical engineering, applied physics, and mechanical engineering and materials science, Lee is currently exploring how cells convert mechanical signals into biochemical responses, a process known as mechanotransduction. At Rochester, she plans to continue that research, with a particular emphasis on how ion channels in cell membranes play a role in the development, maintenance, and degeneration of knee-joint cells. Such work may have applications for treatments for arthritis and other conditions. She will also hold a joint appointment in the Department of Pharmacology and Physiology in the School of Medicine and Dentistry. Lee plans to teach a class introducing advanced undergraduate students and graduate students to the structural biology of DNA and proteins and another class on the fundamental concepts of mechanotransduction. The author or coauthor of more than a dozen journal articles, Lee was the recipient of a New Investigator Recognition Award from the Orthopaedic Research Society. Anne S. Meyer joins the faculty from Erasmus University Medical Center in the Netherlands, where she was a visiting professor in the Department of Molecular Genetics. She was also an assistant professor of bionanoscience at Delft University of Technology from 2011 to 2017 and from 2005 to 2010 was a postdoctoral fellow at the Massachusetts Institute of Technology. Meyer’s research focuses on reorganization of the chromosomes of cells to understand and manipulate the ways cells respond to damaging environmental agents and stressors. One of her primary targets is studying Dps, a protein in cells that condenses bacterial DNA into massive, crystal-like structures and can protect bacteria against stressors such as starvation. Her lab also uses synthetic biology and materials science techniques to cultivate new materials. Meyer is developing the first 3-D bacterial printers that can print improved, engineered bacteria in various shapes and patterns. The engineered bacteria have potential environmental and engineering applications in purifying drinking water and fabricating structural materials. Meyer has received funding from the American Cancer Society and the National Science Foundation. Her research has been published in peer-reviewed journals such as Cell and featured in the Washington Post, Scientific American, and New Scientist. Her undergraduate International Genetically Engineered Machines (iGEM) teams have won numerous awards at iGEM competitions, including the 2015 Grand Prize. In addition to her research, Meyer will teach undergraduate and graduate courses and mentor PhD students in the Department of Biology. 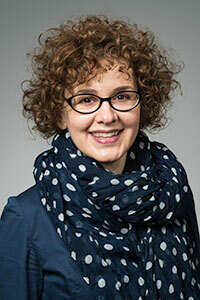 Astrid Müller joins the Department of Chemical Engineering faculty as an assistant professor. Prior to her appointment at Rochester, Müller served as a staff scientist at the California Institute of Technology’s Beckman Institute. Müller’s research focuses on understanding which properties or combination of properties govern a material’s performance, particularly as it relates to solar energy. At the Beckman Institute, she was working to develop efficient methods of oxidizing water molecules, which involves the creation of hydrogen ions and oxygen molecules. At Rochester, she plans to take the next step by developing selective carbon dioxide catalysts capable of generating sustainable, carbon-neutral liquid fuels. Müller received her PhD from the Max-Planck Institute of Quantum Optics and Ludwig-Maximilians- Universität in Germany. She has more than 40 articles to her credit in a wide variety of peer-reviewed journals, including Chemical Reviews, Energy & Environmental Science, and Materials Horizons. In 2017, she was presented the Exemplary Research Mentor Award by the Chemical Physics Laboratory at Concordia University Irvine. She was also one of 10 people worldwide to be named Outstanding Reviewer for Chemical Communications in 2016. This fall, Müller will be teaching an upper-level course in classical thermodynamics. 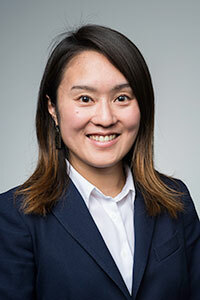 Miki Nakajima joins the faculty from the Carnegie Institution for Science, where she was a postdoctoral fellow in the Department of Terrestrial Magnetism. Nakajima is a planetary scientist who builds theoretical models and simulations to explain geochemical, geophysical, and astronomical observations of the evolution of planetary interiors. Her current research includes investigating the origin and evolution of Earth and its moon, modeling plumes on Saturn’s moon Enceladus, and studying exomoon formation. Nakajima is a science member of a future Japan Aerospace Exploration Agency mission called Mars Moons eXploration Mission (MMX), which is scheduled to launch in 2024. The mission will investigate the origin of Martian moons with a goal of understanding planetary system formation, including the water abundance on the moons of the red planet. 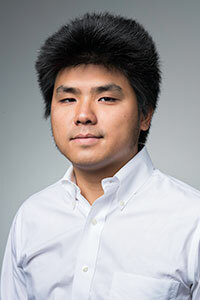 Nakajima received a postdoctoral innovation award at Carnegie as well as a NASA Earth and Space Science Fellowship. She is also involved in science and engineering outreach programs. Her work has appeared in such peer-reviewed journals as Earth and Planetary Science Letters, Icarus, and Annual Review of Earth and Planetary Sciences. PhD students in her joint appointments in the Departments of Earth and Environmental Sciences and Physics and Astronomy. Tolulope Olugboji joins the faculty from the University of Maryland, where he was a postdoctoral research associate in the Department of Geology. Olugboji is an applied computational geosciences. He uses recordings of ground vibrations from seismic sensors across the globe combined with high- performance computing to build high-resolution images of Earth’s interior. He has built maps of the shallowest rocks in the continental United States, derived from ground vibrations detected and recorded using an array of seismic sensors, known as EarthScope. With the maps, he investigates the rocks that make up the continents, particularly the lower continental crust, which is inaccessible to direct sampling. In addition to studying the continents, Olugboji conducts research on islands such as Hawaii and the Galapagos. His ultimate goal is to build new models of Earth’s interior, giving insight into the evolution, history, and longevity of the planet. Olugboji has published in a number of peer-reviewed journals, including Nature Geosciences and G3. He was named a fellow at the Next Einstein Forum (NEF) and conducts outreach programs in earth science as one of the Nifty-Fifty (times 4) speakers, a group of 200 science and engineering professionals who speak about their work and careers at middle and high schools across the country. 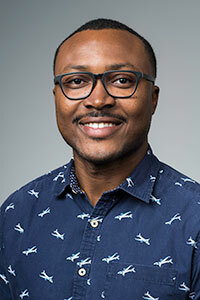 In addition to his research, Olugboji will teach undergraduate and graduate courses in the Department of Earth and Environmental Sciences and mentor PhD students in his Seismology and Computational Geophysics Group. 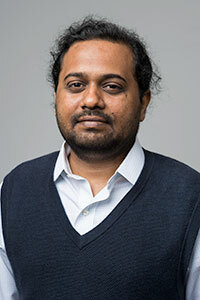 Sreepathi Pai joins the Department of Computer Science as an assistant professor after completing a postdoctoral fellowship at the University of Texas at Austin. Pai is an expert in computer systems, compilers, and architecture, specifically in parallel and distributed systems. 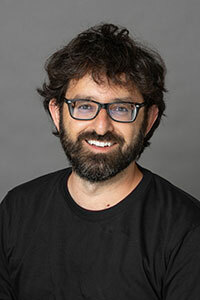 While at Austin, he created a compiler framework to help computer scientists use graphics processing units (GPUs) to offer a powerful new computing tool for processing increasingly large Google- and Facebook- scale data sets. The data sets are typically represented as incredibly complex graphs of interconnected nodes, but the lack of uniformity makes it difficult for different GPUs to work with each other and with core processing units. Pai designed his framework to translate high-level algorithms to efficient low-level GPU code. He has coauthored 12 papers, one of which was named the IEEE/Amazon/DARPA GraphChallenge Champion in 2017. Pai teaches the course Parallel and Distributed Systems and Synthesis of Systems. He received a BE in computer engineering from the University of Mumbai and a PhD in computer engineering from the Indian Institute of Science in Bangalore. Shauna Paradine joins the Department of Chemistry as an assistant professor after serving as an NIH postdoctoral fellow at Harvard University. Paradine is an organic chemist who specializes in finding new ways to selectively form carbon-carbon bonds, which provide the framework for all organic- based molecules, in order to build functional three- dimensional structures. Her aim is to build those molecules as efficiently, and with as few steps, as possible. Ultimately, she wants to provide tools that enable chemists to create new organic molecules, including new materials and pharmaceuticals. She has been the lead author of papers published in Nature Chemistry and Journal of the American Chemical Society. 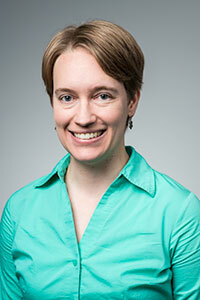 Her awards include the Ruth L. Kirschstein NIH Postdoctoral Fellowship and the NSF Graduate Research Fellowship. She will teach the course Organic Reactions. Paradine received a BA in chemistry from Albion College and a PhD in chemistry from the University of Illinois at Urbana-Champaign. Laura Chernak Slane has joined the University as an assistant professor of instruction in the Department of Mechanical Engineering after serving as an assistant professor of biomedical engineering at Trine University. While at Trine she taught classes in advanced biomechanics (her specialty), statics and strength of materials, and research techniques. At Rochester, she will teach classes in computer-aided design, statics, and dynamics. She also hopes to have an opportunity to mentor students doing research projects. As a researcher, Slane is interested in how mechanical principles can be applied to better understand the function of muscles, tendons, and joints to reduce injury risk and improve rehabilitation. She has been a lead or colead author of more than a dozen papers on the biomechanics of tendons and joints in the Journal of Biomechanics and other publications. She received an NIH postdoctoral fellowship at KU Leuven in Belgium to study how ultrasound elastography could be used to measure soft tissue mechanics after total knee replacement. She received a BS in mechanical engineering from Bucknell University and MS and PhD degrees in biomedical engineering at University of Wisconsin– Madison. 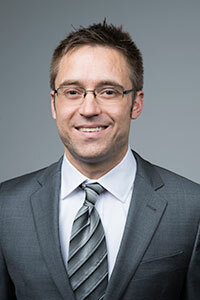 Adam Snyder has been appointed an assistant professor in the Department of Brain and Cognitive Sciences. He also has a joint appointment in the Department of Neuroscience in the School of Medicine and Dentistry. Snyder was most recently a postdoctoral fellow at both Carnegie Mellon University and the University of Pittsburgh. Snyder’s work involves the physiological mechanisms that make it possible for the brain to process information. He is specifically trying to understand how the brain is able to focus on a single image while ignoring competing stimuli in the environment, an ability known as selective attention. Snyder relies on EEG—an electroencephalogram, which records the brain’s electrical activity—and other electrophysiological methods to investigate attention control mechanisms. In his previous research, he discovered that overall neural activity changes but does not diminish when distractions are being ignored. Snyder has received numerous honors, including the Ripple Promising Investigator Research Award and the Outstanding Paper Award from the Center for the Neural Basis of Cognition. He earned his PhD in cognitive neuroscience from City University of New York. 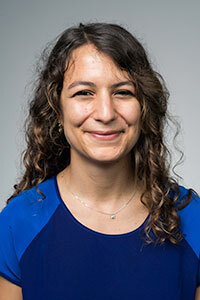 Zeynep Soysal joins Rochester’s faculty as an assistant professor of philosophy. She earned her PhD in philosophy at Harvard in 2017 and spent the past year as an Andrew W. Mellon Foundation Postdoctoral Associate at Boston University. A specialist in epistemology—the theory of knowledge—philosophy of language, and philosophy of mathematics, Soysal has focused in her work on the revival of a traditional method of explaining mathematical knowledge in terms of understanding of meaning. Soysal has published or has work forthcoming in Logical Analysis and History of Philosophy, Synthese, and Philosophical Studies. At Harvard, Soysal’s honors included the Richard M. Martin Prize Fellowship, awarded by the philosophy department, and the Bechtel Prize, given each year to one graduate student for the best essay in philosophy. Soysal has found practical application for her interests by working as a certified mediator with the Harvard Mediation Program. For the past five years, she has participated in summary-process and small-claims sessions in Massachusetts courts. Soysal is also on the board of ThinkerAnalytix, a nonprofit organization dedicated to developing critical-thinking and argument-mapping curricula for high schools. Scott A. Tyson comes to Rochester from the University of Michigan, where he was an assistant professor of political science. Prior to Michigan, he had a postdoctoral fellowship at the University of Chicago’s Harris School of Public Policy Studies. Tyson earned his PhD in politics at New York University. His research focuses on the political economy of conflict (both international and civil), the political economy of authoritarian politics (in particular the international consequences of authoritarian regimes), and the quality of democratic choice. He has authored and coauthored several scholarly articles that have appeared in the Journal of Politics and the American Journal of Political Science. A recipient of the Young W. Kihl Scholarship, Tyson has also received the Bradley Foundation and New York University McCracken Fellowships and a research grant from the Center for Experimental Social Science at New York University. Yuhao Zhu has joined the Department of Computer Science as an assistant professor, after serving as a visiting researcher at ARM Research, where he worked on designing next-generation mobile systems to feature such emerging applications as augmented and virtual reality. Zhu is an expert in computer architecture. His recent work focuses on creating systems to more efficiently run web applications and process visual data on headsets, smart phones, and other mobile devices. The research involves balancing the need to be user responsive against the large amounts of processing power that are required. He has been the lead author of articles for the IEEE Micro Special Issue on Mobile Systems, Computer Architecture Letters (awarded best of in 2014), and ACM Transactions on Design Automation of Electronic Systems. He has also coauthored book chapters for GPU Solutions to Multi-Scale Problems in Science and Engineering and Theoretical and Mathematical Foundations of Computer Science. He teaches the courses Computer Organization and Mobile Systems Architecture.